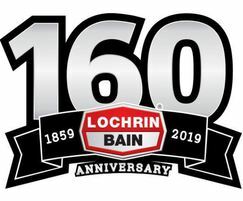 Lochrin Bain are one step closer to providing clients with a green fence - and we're not talking about the colour green! We are talking about our commitment to sustainable manufacturing, and as of March 1st our electricity supply chain is now from 100% renewable. This development comes during a special year for the team at Lochrin Bain as we celebrate our 160th Anniversary. We've come along way since the first estate fence back in 1859, and our first Palisade patent over 100 years ago.